Becoming a parent has been the BEST thing to ever happen to me, but no one told me how stressful it would be! More specifically, how stressful night time would be. These days, SIDS is all over the internet whenever you search anything to do with a sleeping baby. I already worry enough about things I can control, so worrying about her being ok while she slept only made me lose sleep! I have a nightly routine with Brighton- bath, feed, play, sleep. .... then I check on her about 50 times and go to bed..... then I stare at the baby monitor and make sure she's still ok. THEN I pull up my Owlet app and check her heart rate and oxygen levels. Once everything looks good, then I can sleep. Jason makes fun of me for it but my little routine always helps me feel so much better! Let me back up a little bit though! Brighton slept in our room for the first 4 weeks of her life for the most part. I wanted to transfer her to her crib sooner than later because a) I wanted her to get used to her crib and b) because every little noise or movement she would make when she sleeps would freak me out. Like, what if she moved and covered her face with her swaddle or what if that cough meant she was spitting up and needed help?!! Basically nothing bad ever happened, but I was always on high alert having her sleep in a bassinet right next to our bed and hearing every little peep. We transferred her to her crib and baby girl sleeps about 10 hours a night, she loves her crib! I was a mess when we first made the switch, though. It was so hard to move her out of our room where I no longer had access to her a few feet away from me! Obviously it wasn't that big of a deal, but just knowing she would be asleep a whole room away from me made me so anxious! 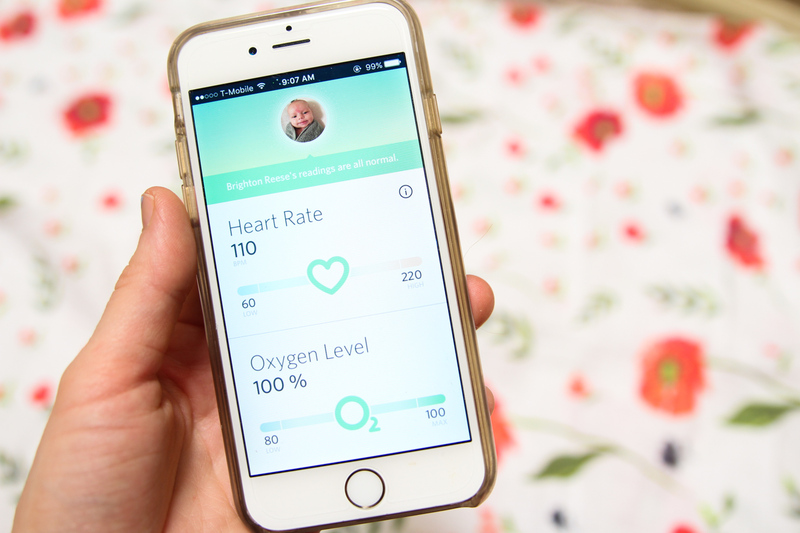 Being able to use the Owlet made the switch a lot less stressful because it was like having an extra set of eyes, designed to notify me if heart rate or oxygen levels went outside range. 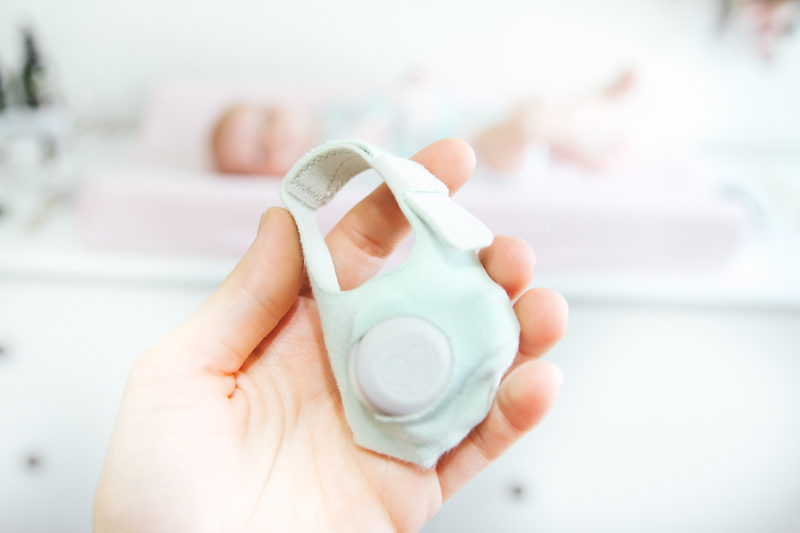 The Owlet is a monitor (similar to the monitor you have to wear in the hospital after delivery) that measures the infants heart rate and oxygen levels. The Owlet is designed to notify you if those levels go outside of the preset range so you can act quickly! If it gets disconnected from the base or cannot get a reading (most likely because it fell off) it's designed to notify you. It is basically my best friend and I've literally woken Brighton up before to put it on her when I forgot to put it on her foot at night. When we first brought her home, we got a few false alarms just because I think her feet were too tiny for the newborn sock, but after a few weeks when she got bigger, the 0-3 month sock has been perfect! Something that I really love about the Owlet is the customer service that comes with it! When I got a few false alarms, I reached out to customer service and they emailed me back immediately! 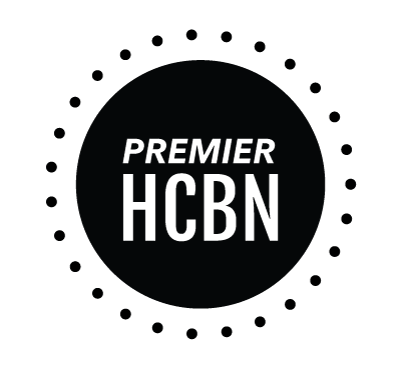 They also have a chat tool on their website and app which makes it even quicker when you have an issue you want solved right away. They offered to call me and walk me through the process but luckily I was able to solve it with a few small adjustments. 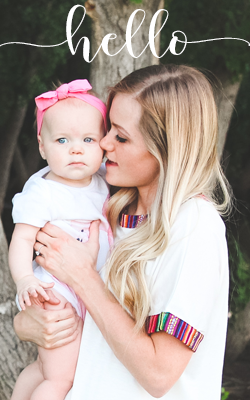 I LOVE the Owlet and recommend it to all my friends because it gives me such peace of mind, especially as a new mom!! I love it because I can use it with all of our kids as we have them! It has quickly become one of my top baby "must haves" because I am such a worrier and it has helped me feel so much better at night time. If you have any other questions feel free to ask me! *Because the cause of SIDS is unknown, Owlet does not and cannot claim to prevent it. 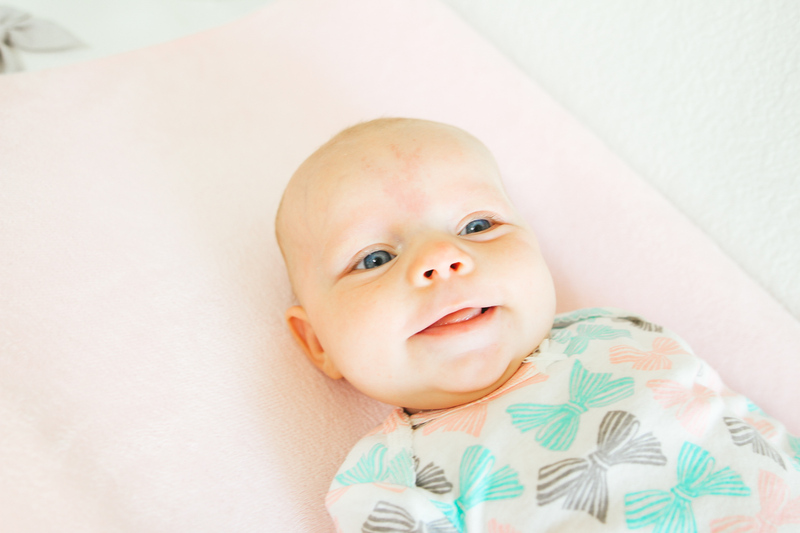 Owlet is designed to give parents peace of mind. I've thought about getting one of these because E sleeps so soundly. I was actually reading about it, and SIDS is apparently caused, some think, because there is a gap (not a literal gap) between their brain and their lungs, which causes them to stop breathing, particularly if their heads or necks are turned a certain way. I think this type of thing would be great for giving you peace of mind that you could know if she stopped breathing. SIDS is so scary and something I worried about too! It is a lot less common than they like to make it seem, though, so that's a good thing.